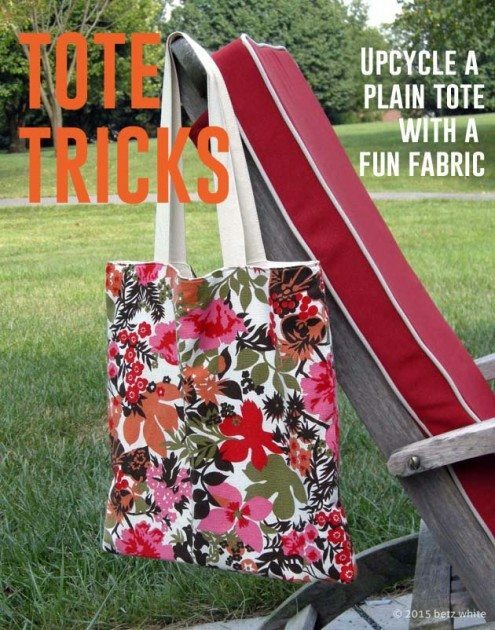 Here’s an oldie-but-goodie, a quick and easy tote refashion for you! Who wants to carry a boring canvas tote, even if it was free from that event you went to. Grab a favorite fabric (or an old table cloth, as I did) and slip-cover that thing. Full tutorial here! Free Broadcast Premier on Creativelive! The Field Study Tote: New Pattern!